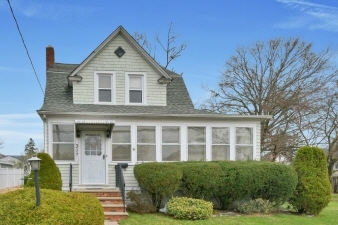 A great starter Colonial home in the heart of Emerson known for great schools,shopping,train to NYC and bus transportation. A fenced in backyard with plenty of property to add on or build your dream home. A one car garage with it's own electric plus a loft for storage. A full finished basement with high ceilings,plenty of storage area,a pantry, and a laundry area. All floors have hardwood floors under carpet, all new windows, gas heat with radiators and baseboard.